In this modern world, some days it can feel like everything is out of your grasp. So take stock on those things that you can control. 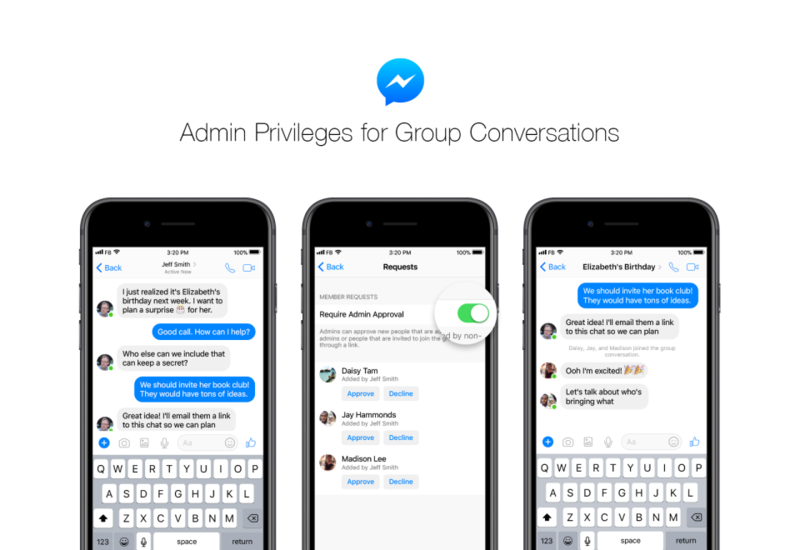 Like Messenger, Facebook’s increasingly feature-rich offshoot app, which now sports admin privileges for group chats. The new feature is rolling out this week, giving users the ability to better keep group chats on lockdown. Admins can do your standard array of adminy-type things: adding and removing members and promoting and demoting users with admin privileges of their own. It’s enough to make Messenger users downright mad with power. Also new is the addition of joinable links — send them to a new person you want to join via email and voila, they’re on board. The new additions should help position Messenger as a more fully formed Telegram competitor, as Facebook increasingly views the app as a standalone offering in its own right. The company’s been rolling out features to the app at pretty steady clip over the past year, including mentions, reactions, group payments and customizable groups. According to the company, 2.5 million new groups were created on the app every day last year. So a little added power goes a long way.